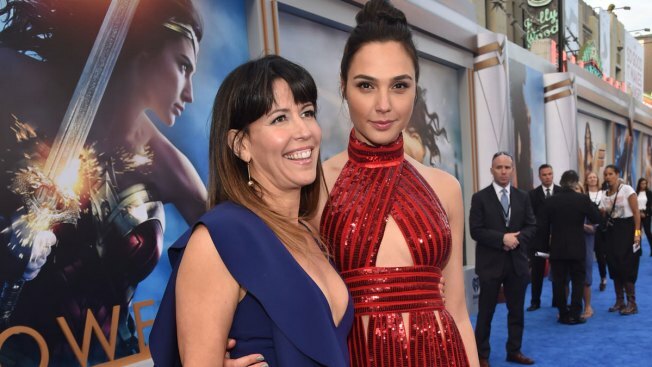 Director Patty Jenkins (L) and actor Gal Gadot attend the premiere of Warner Bros. Pictures' "Wonder Woman" at the Pantages Theatre on May 25, 2017 in Hollywood, California. Some people have breakout years. Director Patty Jenkins had one with "Monster" in 2003, a movie that earned Charlize Theron a best actress Academy Award. And then there are breakTHROUGH years. This year, Jenkins' "Wonder Woman," starring Gal Gadot, was a mega-hit worldwide. Pulling in $816 million worldwide last summer, it was the most successful live-action film ever directed by a woman. And it was clearly a breakthrough in what was otherwise a less-than-spectacular summer at the box office. "I think we tried very hard to stay true to the spirit of the Wonder Woman that I love and grew up loving," Jenkins said. "But really, it's an opportunity to rediscover what that Wonder Woman is and because that Wonder Woman is so near and dear to my heart, it actually ended up being an opportunity to make this incredibly personal film for many of us about just struggling to be a good person and find her inner hero." Jenkins personal vision of "Wonder Woman" obviously appealed to anyone who loves a great action movie. "Keeping up with the phenomenon of what it was meaning to people, what people were taking it on to be and what people were finding ... it was something that I really wasn't prepared for," Jenkins said. "But, obviously is an incredible honor to do." She added: "The biggest challenge was ... being able to engage with the incredible ride we were on." While the silence-breakers of the "#MeToo" movement were Time Magazine's "Person of the Year," Patty Jenkins was No. 7 on the short list. The tagline said it all: "The director re-defining how the world sees women."